DJ/Producer? Electronic Music Fan? Dig EDM? Basics: a free member-driven worldwide network on this website and a community on Facebook. Goals: unite artists, spread new music/ideas, impress fans and promoters, build new audiences. Background: established to spread the love for EDM and to promote good music artists. Benefits: find inspiration, dig videos/music, share ideas, connect with people who love and ‘live’ EDM. Opportunities: promote your or your friends’ music/projects, voice opinions, find friends, collaborate, connect with EDM fans and professionals worldwide. on this site (click to join). TuneDome is free: it’s free for everyone, but you may be asked to log in securely to participate in some areas. Everyone digs us: party-goers, festival crowds, talent seekers, EDM critics, independent artists, and more. Our topics: we are diverse and fun – enjoy, read, watch, and participate by submitting your ideas/music. Our blog: we daily update our blog – a place to meet artists, dig music/videos, have fun, and participate. Participation: you can “just browse” anytime, but please also comment and submit your ideas to us! TuneDome is free for everyone: it offers many resources and information, including MusicPRagent™ publicity service (free) to help promote your new releases. How it benefits you: our professional network is a chance for you to grow professionally and to network with others. TuneDome Records: our record labels TuneDome Records (hard dance) and EDMstr.com (120-145 bpm) release and distribute dance music globally, promote EDM tracks… and offer free mastering and distribution programs. Everyone digs us: DJs, producers, talent managers, booking agents, party-goers, festival crowds, EDM critics, independent artists, venue managers, etc. Our topics: we are diverse and fun – enjoy, read/watch and please submit your ideas/tracks so we can talk about you on this site to help you grow. Promote: we ‘talk’ EDM every day, and we WANT to talk about you (yes, free!) – don’t be shy and reach out! What’s in it for us: we love EDM and want to help share your talent with the world – what’s wrong with that? Thanks for browsing in – it means a world to me and to TuneDome members! 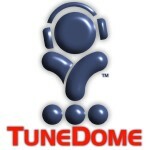 So, what is TuneDome? It is a free member-driven community for Electronic Music professionals and for their devoted followers and fans. You will dig TuneDome. I am Luke. You can read more about me on my personal EDM website BPMstr.com if you have the time. I have been a musician since childhood, but I got caught up in “corporate America” for too long. So, in the summer of 2012, despite having a full-time job in the technology sector, I founded this site – TuneDome. Its purpose is to unite EDM artists around the world to generate cool ideas, to collaborate, to spread the word about good electronica, and to bring EDM talent closer to their devoted global audiences. Starting in September 2013, TuneDome is also a record label – TuneDome Records – to help release your music through tens of retail and online channels throughout the globe.  If you are a Music Artist… Join us to share your talent with the world – if you are an independent DJ/producer OR if you have agent/manager representation! Do you make music? There are 2 things you need to do. First, connect with TuneDome on Facebook and start interacting with other members to promote your ideas and yourself. Second, become a free member/subscriber – just click here: this will allow you to send us your latest track/idea to publicize your track/album on this website and will enable you to become a contributor (yes, free!) to promote yourself even further! Finally, check out TuneDome’s YouTube channel and read about our in-house EDM records labels TuneDome (hard dance) and EDMstr Records (120-145 bpm). 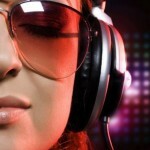 If you are a Music Fan… Follow refreshing music trends, DJ’s and producers. Connect with other cool people like you and with your favorite and with many new EDM artists – producers and DJs – from around the globe. Do you want to make EDM? TuneDome is also a good place to learn – we offer a lot of educational videos that will propel your interest to the next level! Also, please consider contributing a cool topic or idea/post to our blog! Love good music? Please subscribe to become a member – it’s cool and it’s free!